Seattle Balloon Delivery, Seattle Balloon Decorations, Seattle Balloon Designers, Seattle Balloon Bouquet Delivery, Seattle Balloon Decor, Seattle Helium, Balloon Event Decorating, Balloon Wedding Decor, Holiday Party Decor, Helium Tank Rental, Helium Tank Purchase, Custom Printed Balloons, Uninflated Balloons, Outdoor and Promotional Balloons; serving Seattle WA, Lynnwood, Edmonds, Everett, Woodinville, Bothell, Kirkland, Redmond, Bellevue Washington and vicinity. 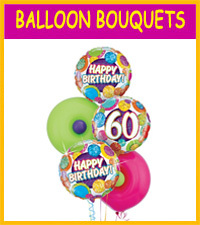 M & M BALLOON CO. HAS BEEN SERVING THE SEATTLE, BELLEVUE, PUGET SOUND AREA SINCE 1980. In 2013, upon retirement of it's owners, we acquired Air Greetings and have been proudly serving it's long time Eastside clients. We are experienced Balloon Professionals, using only top quality products and the latest techniques, to help create the perfect atmosphere for your event, at a reasonable price. 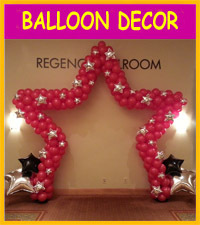 We are a full service balloon company specializing in Balloon Bouquet Delivery, Bulk Balloon Delivery, Balloon Decor, Balloon Event Decorating, Balloon Wedding Decor, Holiday Party Decor, New Years Eve Balloons, Helium Tank Rental, Helium Tank Purchase, serving Seattle, Lynnwood, Edmonds, Everett, Bothell, Kirkland, Redmond, Bellevue and vicinity for over 37 years. 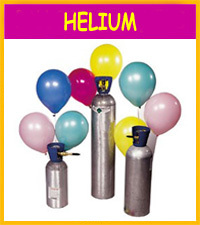 Our Outdoor Balloons, Promotional Balloons, Custom Imprinted Balloons, and Balloon Accessories are shipped Nationwide. Seattle including Downtown, Shoreline, Edmonds, Lynnwood, Lake Forest Park, Mountlake Terrace, Brier, Mukilteo, Everett, Lake Stevens, Marysville, plus Kenmore, Bothell, Mill Creek, Woodinville, Kirkland, Bellevue, Redmond & Issaquah, and all areas in between. We will go out of our usual area for larger decorating jobs, including but not limited to Tukwila, Kent, Sea-Tac, Auburn, DesMoines, Burien, Federal Way and Tacoma. For all events including corporate & promotional events, private parties and weddings. Arches, columns, centerpieces, etc. From our portfolio, your photo or a photo from any other website. Want to add flowers...we'll work with your florist or we'll suggest the name of someone we work with. Decorating Services must be ordered by phone to ensure proper scheduling for your event. Please browse our Decorating Service Photo Gallery for ideas, and call our Order Desk for a quote. 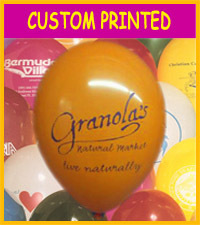 We only use quality U.S. made Qualatex brand latex balloons in our designs. Yet our prices are lower than other Balloon Delivery competitors residing in pricey retail stores. We also sell quality U.S. made 17 inch Tuftex latex for commercial use, and U.S. made BSA latex or Qualatex for use with do-it-yourself Tank Rentals. Private or commercial use. One time event or monthly rental accounts. Steel or Aluminum tanks for purchase. M & M BALLOON CO.